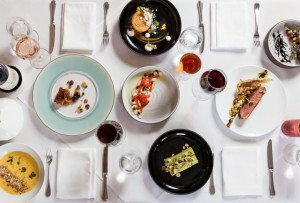 We’ve all seen a shift away from the rigid tripartite menu structure (appetizer + entrée + dessert) toward modular plates meant to be shared. The unexpected winner in this scenario? 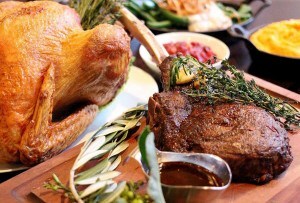 The veggie order, which, freed from side-dish status, is now lavished with the labor-intensive attention traditionally reserved for multiphase flesh projects like porchetta, cassoulet, and the Craigie on Main burger. Case in point: At Bondir, chef Jason Bond takes entire heads of cabbage grown on his Concord farm, vacuum-compresses them with herbs and duck fat, then cooks them sous vide, a series of techniques that transform a stereotypically unsexy vegetable into an evolved species of finessed produce—one that should push the vegetable medley into most assuredly deserved final extinction. 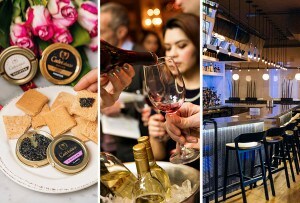 Bondir, along with locavore specialists like West Bridge and Journeyman, are the restaurant kingdom’s most outwardly flamboyant champions of the vegetable golden age, but they have company. Indeed, it’s a sign of the times that one of the best dishes at Tiffani Faison’s excellent barbecue joint, Sweet Cheeks, is an impeccably balanced roasted Brussels sprout salad. 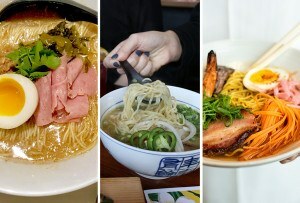 Even food trucks like Mei Mei Street Kitchen (try the kale salad topped with egg, panko, and feta) and sushi counters like Café Sushi (don’t miss the elaborate vegetable nigiri) have enthusiastically taken up the mantle—for evidence, see the following exhibits. Cauliflower is one of those foods that, when boiled, can make a sensitive tot cry—which is why it’s taken a while to achieve “It” vegetable status. But in the hands of chef Matthew Gaudet, the cruciferous specimen gets seared like a steak, topped with an assemblage of creative textural elements and flavors, and plated like a work of art, making it one of the hippest dishes in town—and proving beyond a reasonable doubt that it’s never been more fun to finish your vegetables. 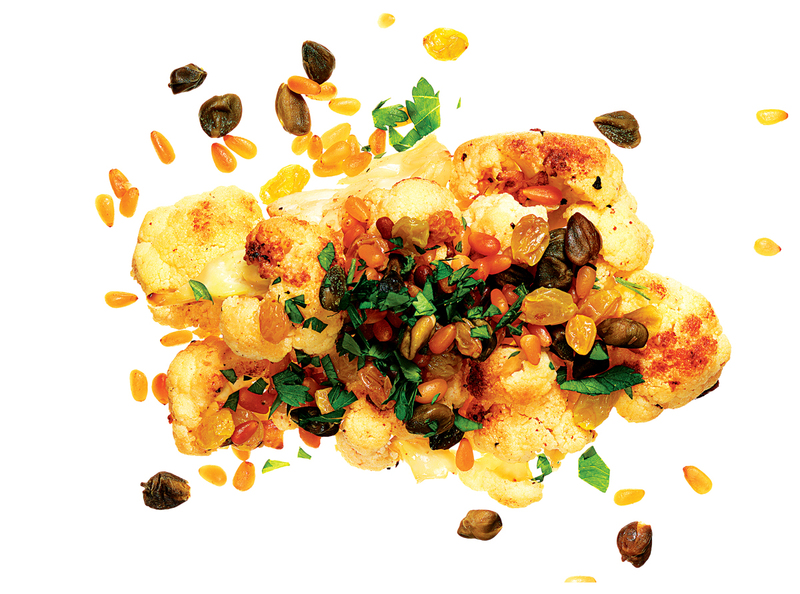 Roasted cauliflower, pine nuts, raisins, capers. 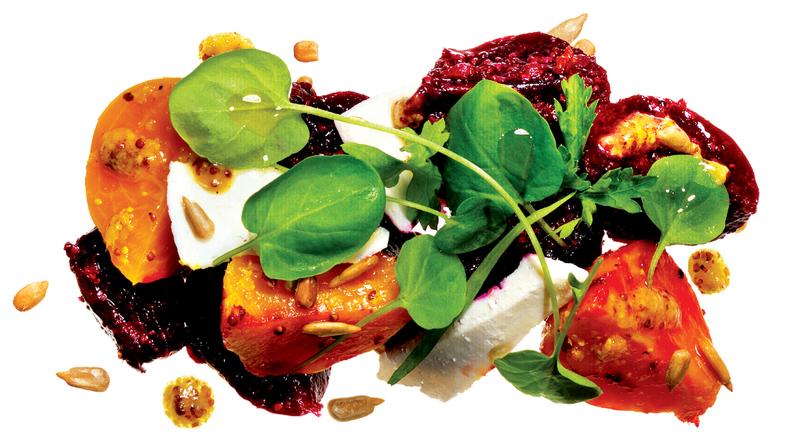 Salad of gingered red and golden beets, ricotta salata, mustard, sunflower seeds. 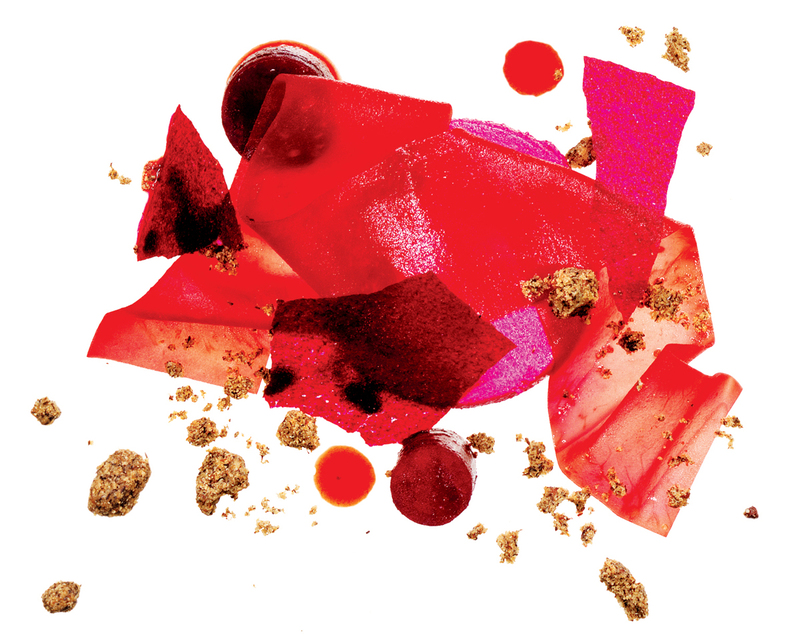 Beet–cocoa nib mousse, beet “ribbon,” roasted beets, beet “paper,” buckwheat–cocoa nib crumble, blackberry sauce. 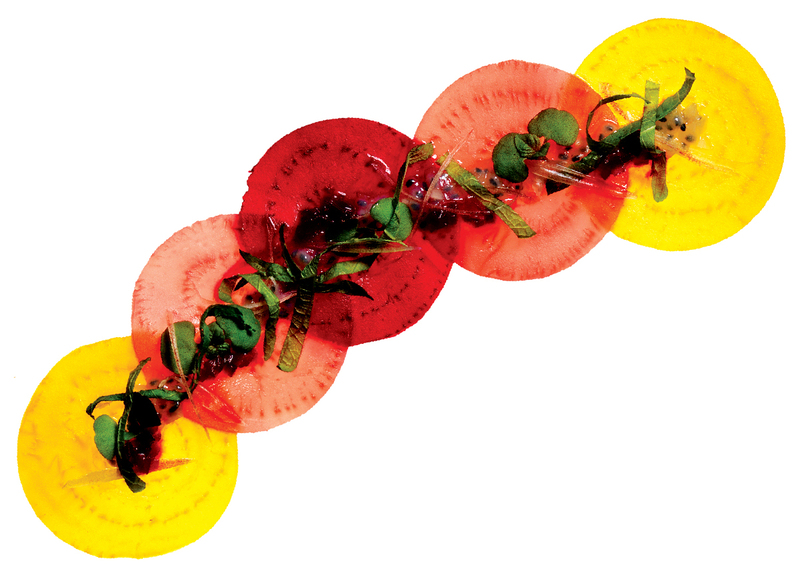 Roasted-beet sashimi, myoga ginger, basil seeds, shiso, wasabi–white soy sauce. 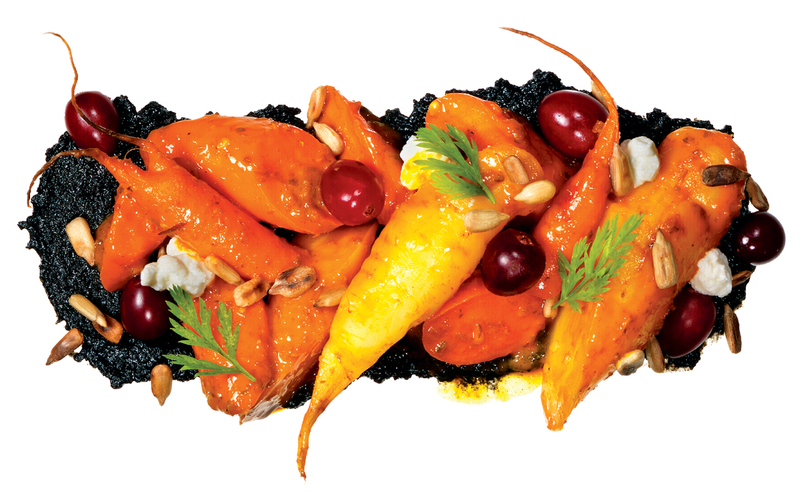 Smoked carrots, black-sesame purée, ricotta, cranberries, sunflower seeds. 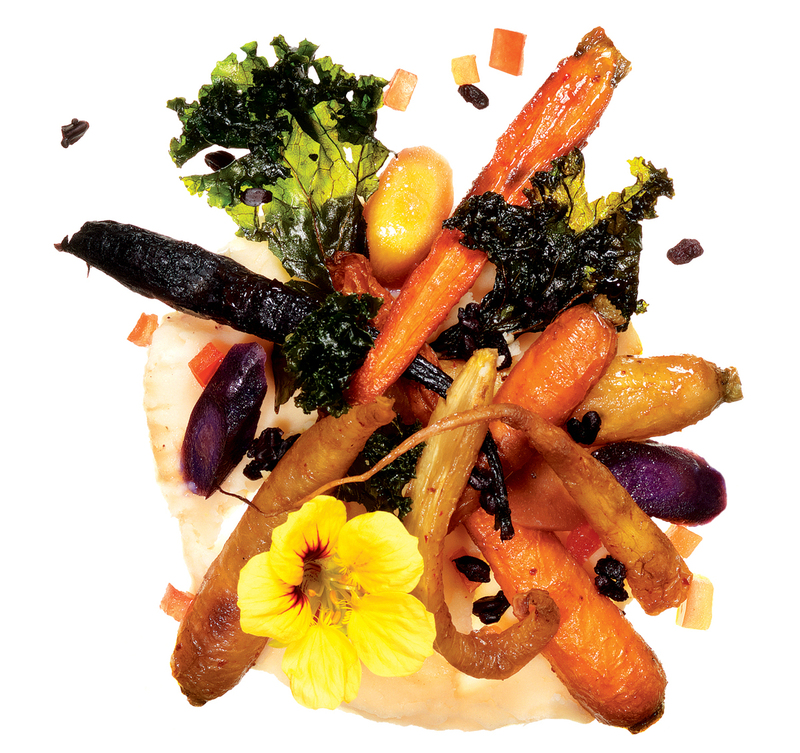 Braised heirloom carrots, cannellini-bean purée, crispy black rice, kale chips, tomato-molasses barbecue sauce. 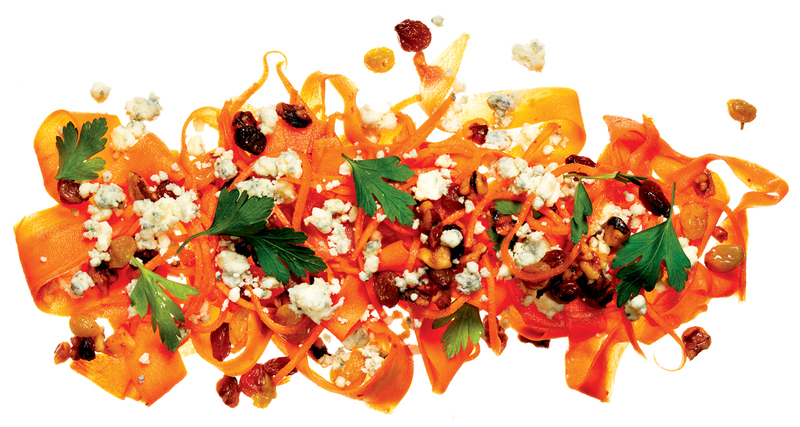 Shaved carrots, raisins, blue cheese, walnuts. Braised celery, black-garlic gnocchi, chicken confit, crispy chicken skin. 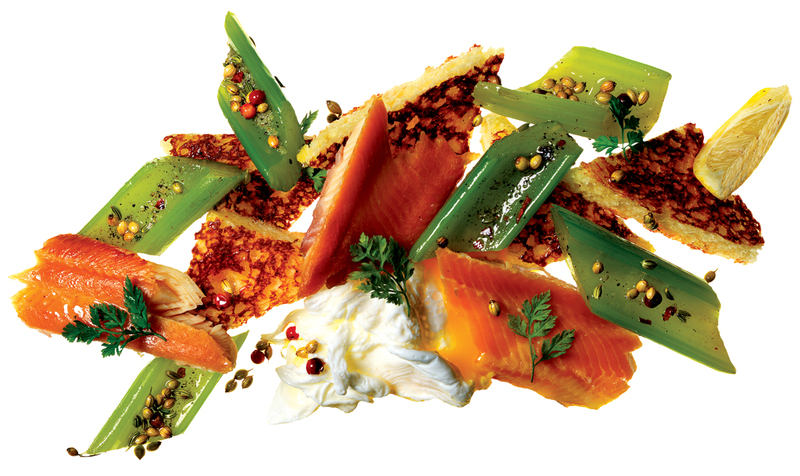 Braised celery, smoked trout, brioche toast, poached egg. 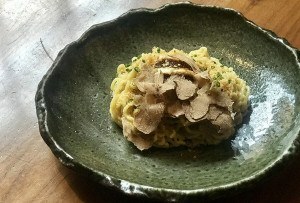 Accompanying the reign of the vegetable on menus is an increased reliance on unconventional plant life.